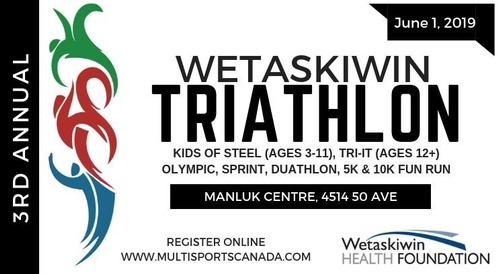 Join us June 1, 2019 for our 3rd Annual Wetaskiwin Triathlon! Variety of event distances including the Olympic, Sprint, Tri-it, Duathlon AND a Kids of Steel. For 2019 we have also added a 5k and 10k run!